The Parking Garage #12 on SDSU's campus. Students were warned about the alleged attack in a campus-wide safety bulletin. 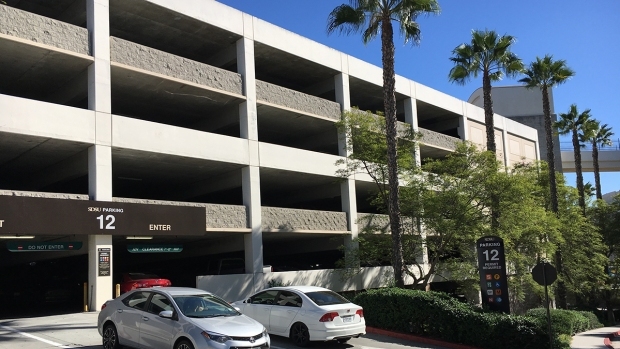 A San Diego State University student who initially reported being pushed and verbally assaulted by two men in a parking garage has decided not to pursue charges, SDSU Police said Tuesday. A Muslim student wearing a hijab told police she was confronted by two men in a stairwell in the Parking Lot #12 structure on November 10. She told investigators the men, described as in their early 20s, made comments about President-elect Donald Trump and the Muslim community and then took her purse and backpack. SDSU Police confirmed the report and launched an investigation into what they described as a hate crime. Eight weeks later, the student was not willing to testify and decided she no longer wanted to pursue the matter criminally, according to police. SDSU police are reviewing surveillance video in hopes of trying to find the victim's car. NBC 7's Artie Ojeda has more. In the initial report, police said the men took the woman’s car keys and ran off. The student's vehicle was missing from the parking garage. The student's report of a stolen vehicle was unfounded since the student forgot where she had parked, SDSU Police Lt. Greg Noll said. "The remaining portion of the investigation included looking at all surveillance video, re-contacting the victim on several occasions and attempting to verify statements related to the entire case," Noll said. Although the woman has indicated she was attacked, police have suspended the case because the victim no longer wants to cooperate, Noll said.